The candied bacon made in the previous post is as versatile as regular bacon. My friend and culinary classmate Sonia suggested making a cake ball of corn bread, rolled in maple frosting and topped with said candied bacon. She is a genius. I did something a little simpler, but definitely worth trying. Make popcorn (the real way, on the stove. 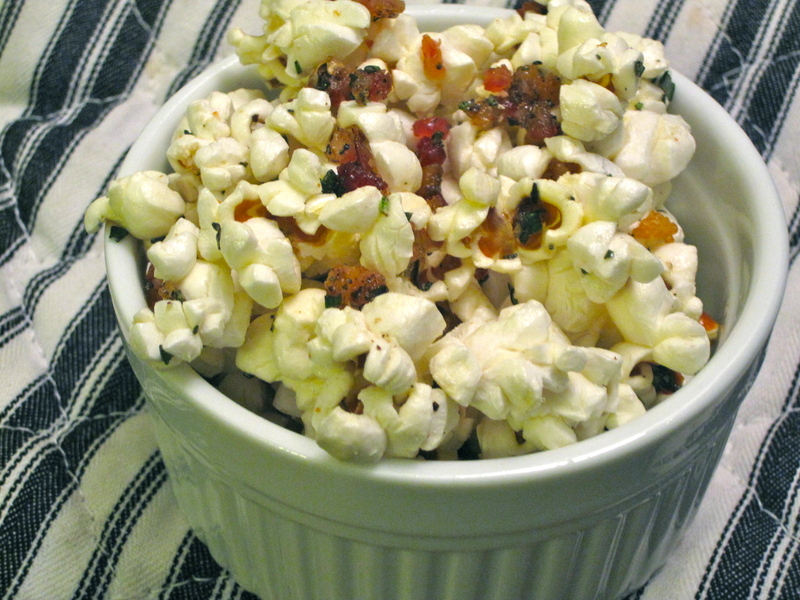 Or if you can find micrwave popcorn with no salt or flavorings, that’s fine, too) and toss with finely chopped fresh rosemary, melted butter and crumbled or diced candied bacon. Season with S&P to taste.